The National Park Service has resumed tours of the clock tower in the historic Old Post Office Building, which is also the site of the Trump International Hotel. 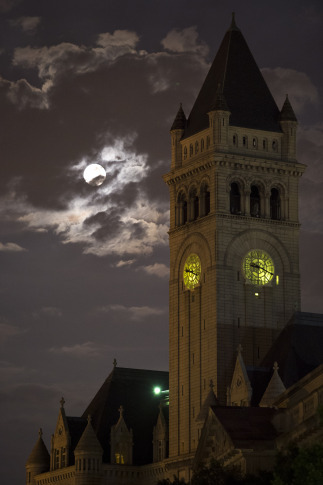 WASHINGTON — The National Park Service has resumed tours of the clock tower in the historic Old Post Office Building, which is also the site of the Trump International Hotel. 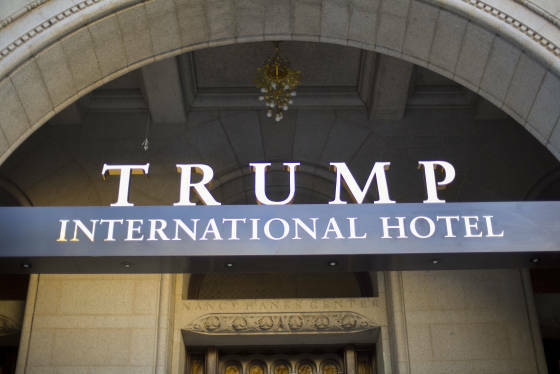 Visits to the tiptop of the historic Romanesque Revival building along Pennsylvania Avenue had been suspended starting in 2014 as construction on the Trump hotel began. The new Trump hotel opened last fall. The Trump International Hotel held a “soft opening” of the luxury hotel on Sept. 12 and the grand opening ceremony Oct. 26. The tours resumed Feb. 9, National Park Service spokesman Mike Litterst confirmed to WTOP. Tours run 9 a.m. through 5 p.m. Thursdays through Sundays, except for Thanksgiving and Christmas, according to the park service website. The General Services Administration, the agency that serves as the federal government’s landlord, made the decision about when to resume tours, Litterst said. So far, there’s been little fanfare about the tours restarting. For the month of February, the tower was open for tours for 12 days and saw 2,507 visitors, the park service said. Under a 2012 deal with the GSA, Donald Trump, then a celebrity businessman, won a 60-year lease to redevelop the Old Post Office building and turn it into a luxury hotel. The clock tower tour includes exhibits about the building’s history. “One of the highlights is definitely the skyline,” Litterst said. The building, which was built in the 1890s, is one of the tallest structures in D.C., the GSA says, and it currently provides the arguably the best views of the D.C. skyline since, the Washington Monument will be closed until spring 2019 to repair recurring problems with its elevator. Visitors interested in taking the tour should follow the signs at the south end of the building. The hotel has been the site of frequent protests since Trump’s election.